A 25 minute train takes us to Toledo on Day 113 of our EU Austerity Drinking Tour. The ancient city lies South of Madrid, and although not known for wine, should get us drunk on culture. 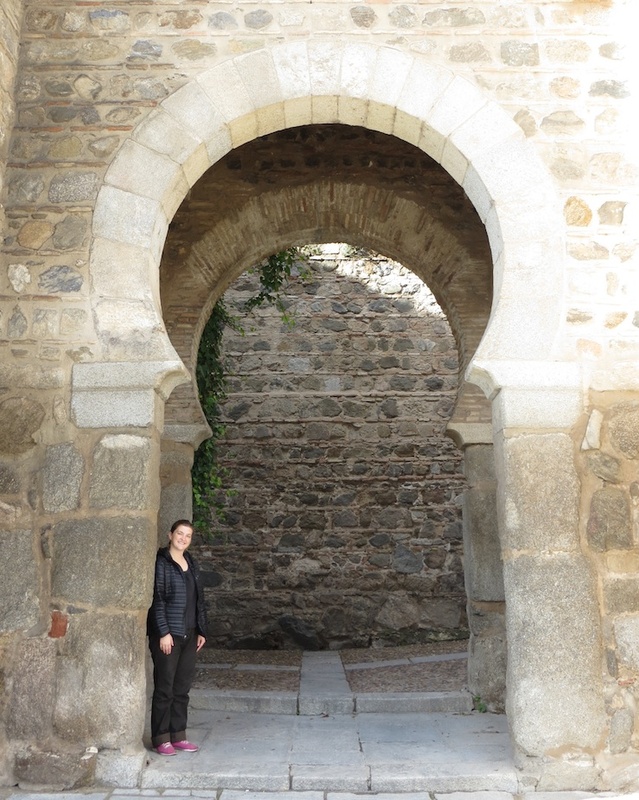 We walk from the oddly Moroccan-looking train station, along the river, to the citadel’s bridge. 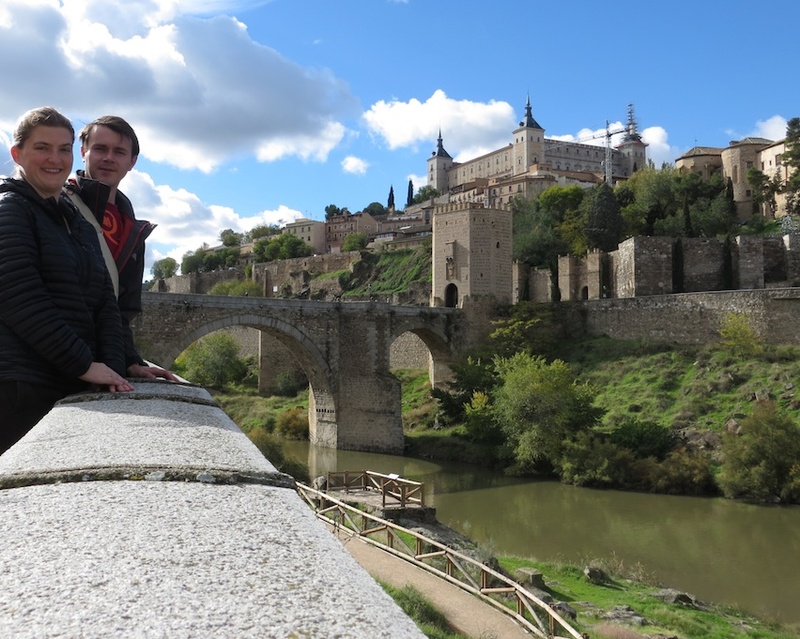 Western walls crowned with Christian churches and Renaissance pavillons make Toledo look like any old, mind-blowingly impressive, European citadel. But then we cross the bridge. Islamic arches and ornaments interweave with the stone and brickwork. Imagine your Ford truck with a Chinese dragon statue where the chair should be. 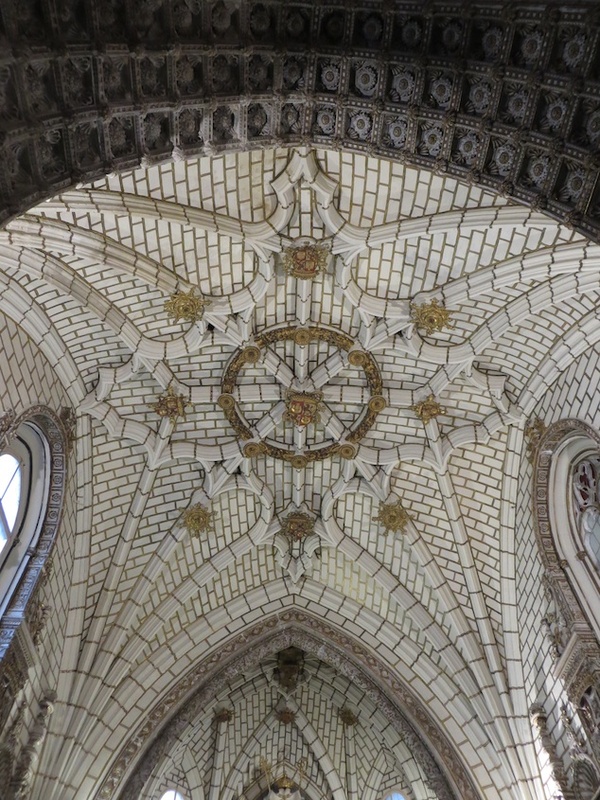 Three centuries of Islamic rule paint Toledo. We climb then weave through city square, alleys, and paths. 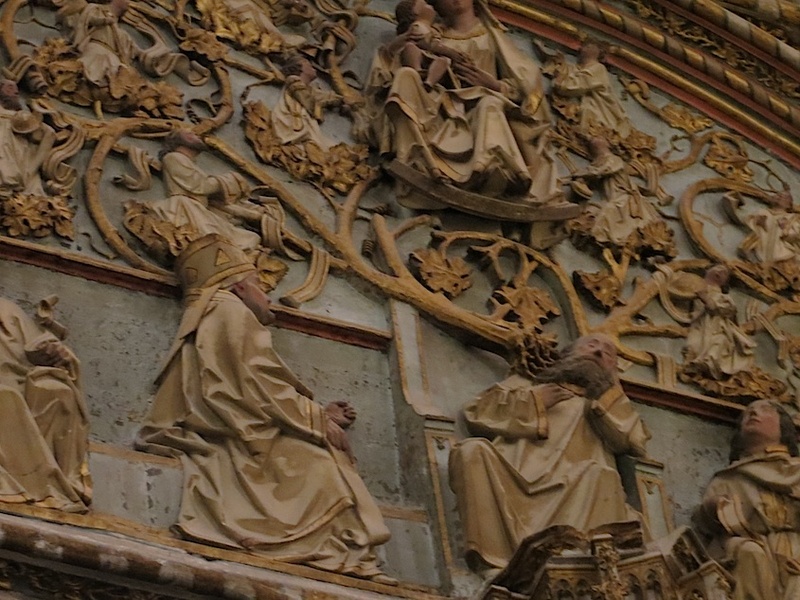 Toledo’s massive yet intricate Cathedral demands a tour. It’s intimidating because you can never stand back from it. With headphones on, this looks like any other magnificent, fabulous gem of the High Gothic. When Christians took over, they replaced the central mosque with it. 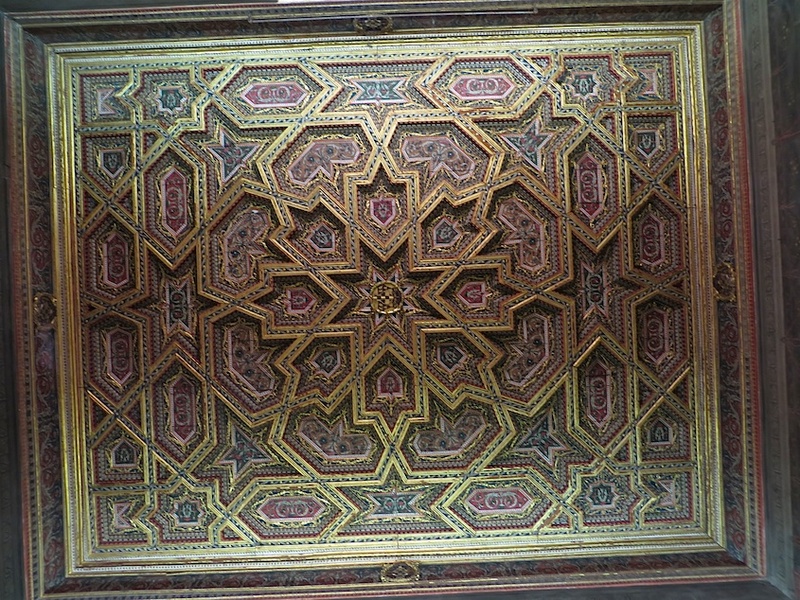 But look closely and the patterns and traditions of Toledo’s Muslim-trained artisans persists. The Bishop’s chambers and chapter house look like hooka bars. We probably need to brush up on our medieval symbolism. The whole place shimmers white with limestone curves. We spend our whole time looking up (probably their intention). Like some sort of sea creature. After a bedazzling collection of El Grecos and minor works by Italian masters. We re-enter the sunshine. 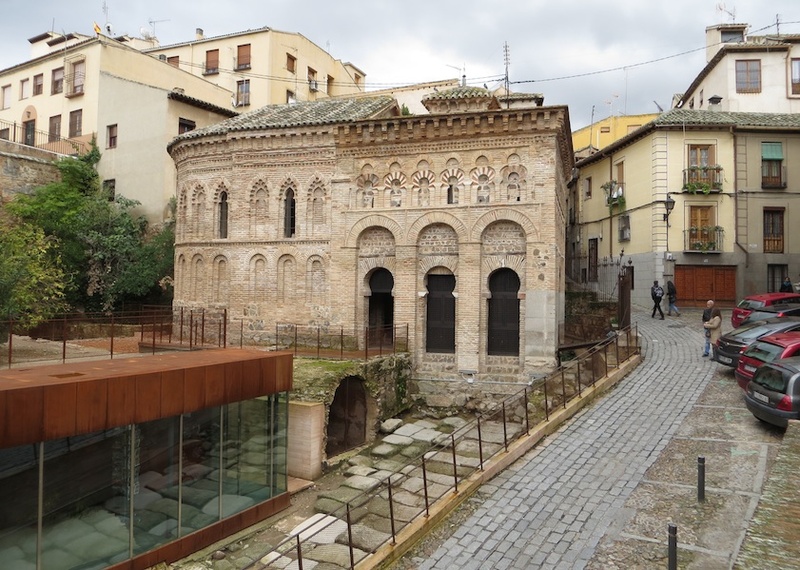 Even after Christianity purged Toledo of Islamic rule, Mosques continued to coexist. We find one survivor built directly atop the slabs of an old Roman road. 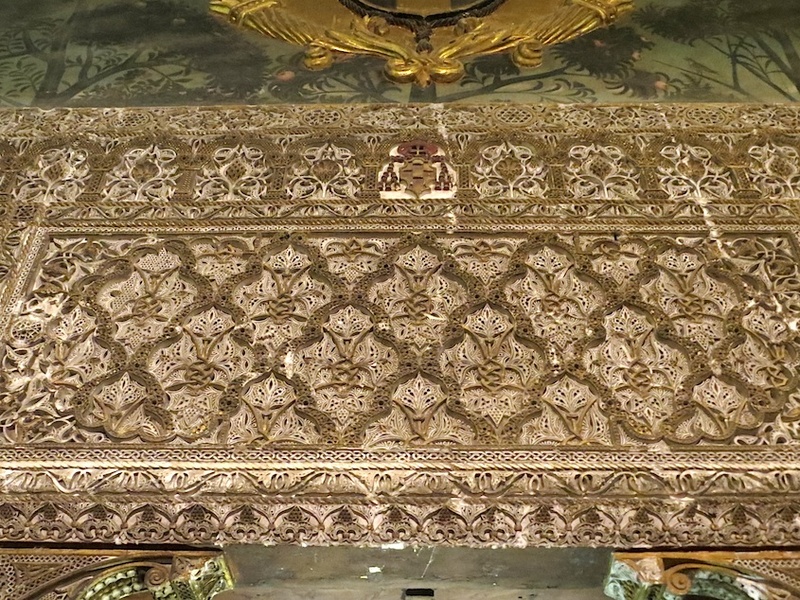 We also pop into a Jewish temple, a Roman bath, and a few other churches. From the city’s edge we view the Roman Amphitheater. By days end we get tired and a bit lost in this brick labyrinth. One string running through Toledo is its love of detail and color. Even more recent glazed tiles are packed with void-fearing detail. We enjoy this drinking hiatus. Toledo’s marzipan is delightful. We skip buying their little boxes and fine knives. 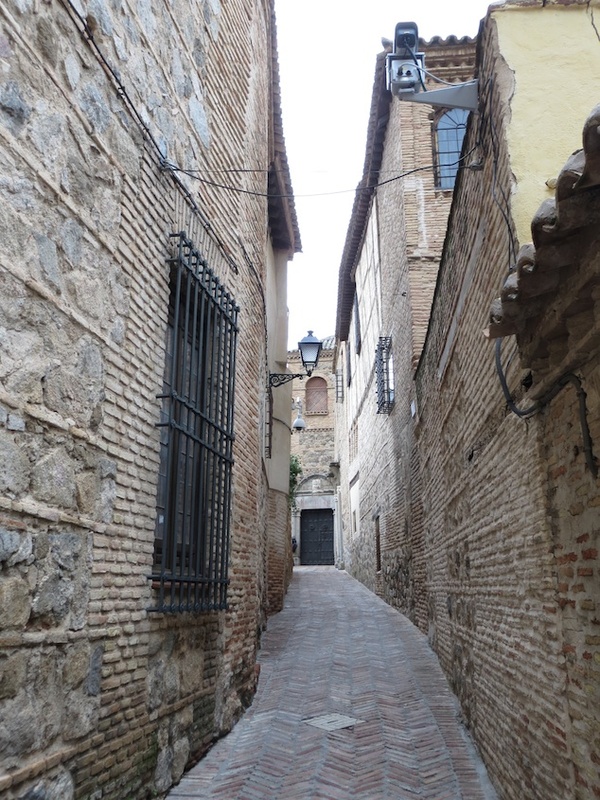 We spend the entire day milling about its narrow streets. 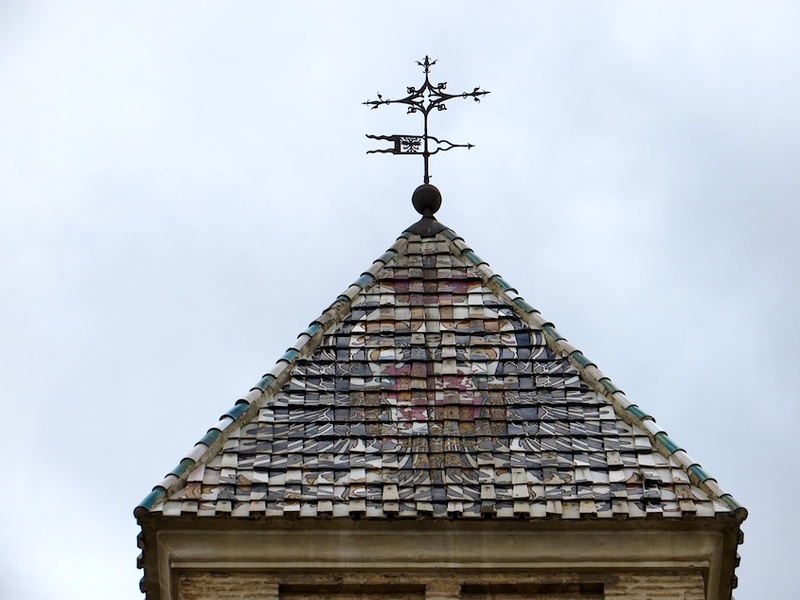 Toledo’s strange balancing act of cultures seems natural. It almost makes modern cultural clashes seem unnecessary. However, these old, calm bricks hide centuries of lost bloodshed. We fall asleep on our train back to modern Madrid. Check in next Monday for our last day in Madrid (and maybe a bottle or two). 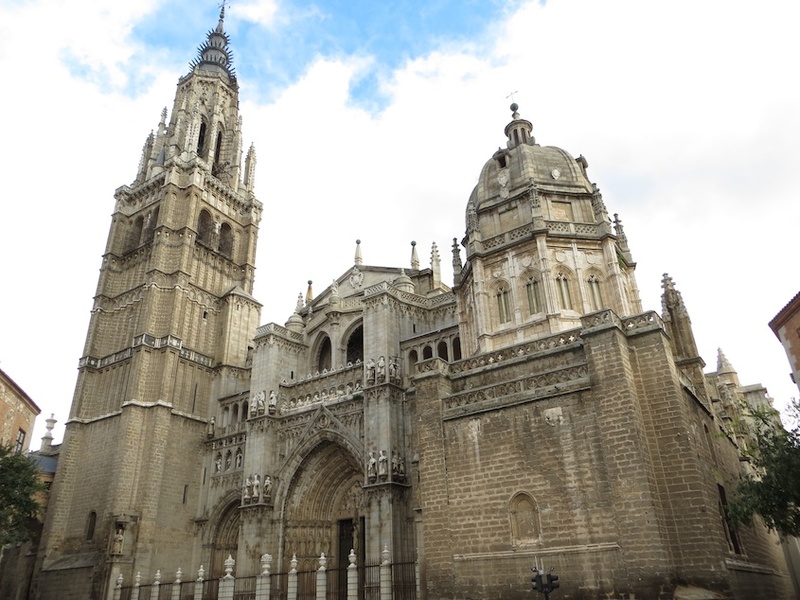 This entry was posted in Uncategorized and tagged Cathedral, Islam, Muslim, Roman, Spain, Toledo, toledo cathedral. Bookmark the permalink. WOW! 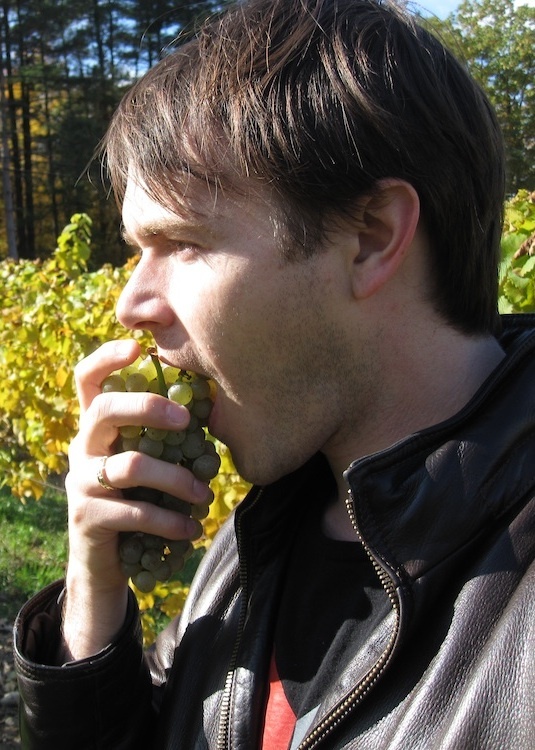 This terrific taste promotes further Toledo understanding.